British Film Design is about the things that you see when you close your eyes and think of British cinema Dr. No's Hideaway, the buffet of 'Brief Encounter', Vera Drake's parlor, Hogwarts School and a thousand other visions of British films. This book is also about the people who have created those visions. The physical environments of films are made by Production Designers Art Directors. Their efforts have tended to go unnoticed by cinema audiences. 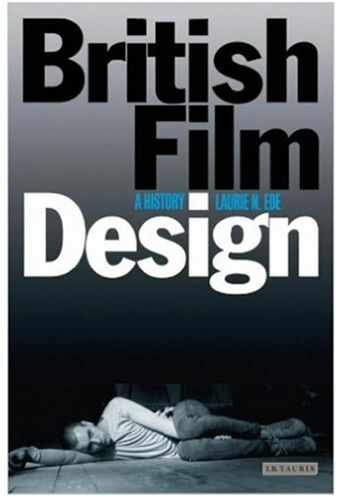 British Film Design offers the first comprehensive historical survey of British art direction. It takes a chronological journey through British film design, starting with the efforts of the film 'primitives' of the silent era and ending with the modern day purveyors of part built part computer generated 'blended design'. Certain themes recur en route. These include British cinema's obsession with realism, the Production Designer's continual struggle for recognition, and, influence from European artists and the benefits and perils of American finance. The book succeeds in expressing the joy of looking at films from inside out, seeing beyond the stars to recognize sets as silent players in the action.